Animal testing for the treatment of cancer using gold has been concluded and has shown promising results, said Egyptian researcher and head of the cancer treatment with gold nanoparticles research team, Professor Mostafa al-Sayed. Professor Sayed made the statement on the occasion of the 60th anniversary of Egypt's National Research Center, Al-Watan newspaper reported on Tuesday. Team member Professor Ahmed Abdoun, meanwhile,said the team has verified the the effectiveness of the treatment of breast and skin cancers using gold particles in animals including dogs and cats, as well as the treatment of melanoma in horses. He added that according to the research results, treatment with gold particles did not cause harm to the genetic material of the bodies of animals or lead to physical deformities. The animals were examined clinically by identifying their body temperature, determining the size of the tumor and examining biopsies of the animal's blood and parts of the tumor tissue to identify the cancer stage, said Abdoun. 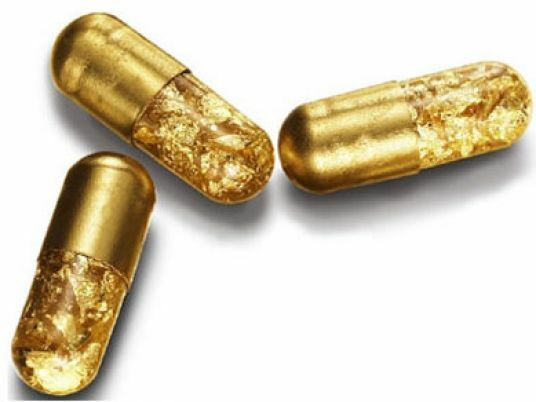 The tumor was injected with gold particles and left for 10 minutes before using laser which interacted with the gold particles, Abdoun explained. Animals showed a positive improvement between 5 to 32 days. Full response to treatment among animals ranged between 87 percent to 62 percent. Twelve percent did not respond at all, depending on the type of tumor, he added. The treatment did not have side affects on the functions of the liver and kidneys, Abdoun mentioned. Egypt is considered a pioneer in the field of cancer treatment using gold.